This is an easy and healthy dessert. 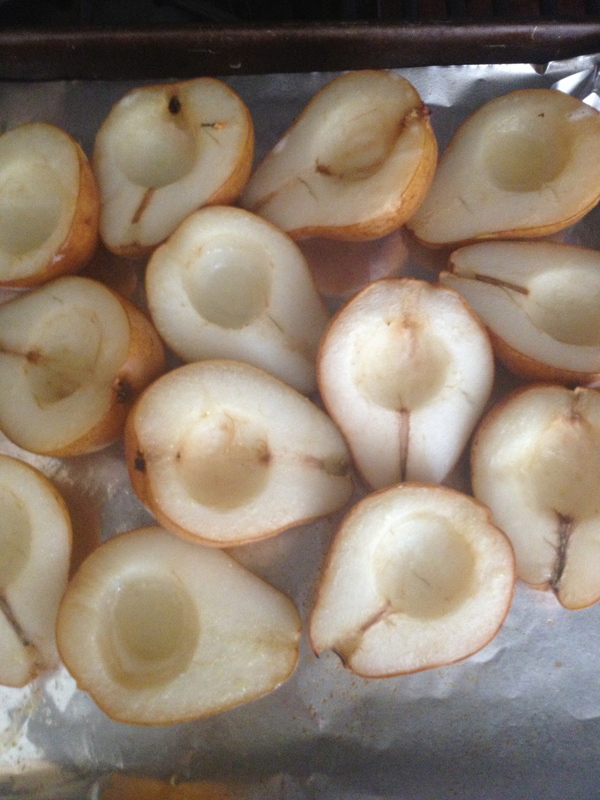 Plan ahead and let the pears ripen a little before you roast them. I made two batches of the granola, one with nuts and one without for my son who has a nut allergy. I substituted dried currants (they do not need toasting) for the nuts. Don’t skip the sesame seeds, they add color and extra crunch. Enjoy! Place racks in upper and lower thirds of oven and preheat to 375°F. Place pears, cut side up, on a small baking sheet, drizzle with 2 teaspoons oil, and roast on upper rack until soft, 20–30 minutes. Let cool slightly. Meanwhile, toss almonds, pumpkin seeds, brown sugar, oats, salt, and remaining 2 tablespoons oil on a small baking sheet. Toast on lower rack, stirring occasionally, until golden, 10–12 minutes. Remove from oven and mix in sesame seeds. Let cool. Whisk mascarpone and sugar in a small bowl. 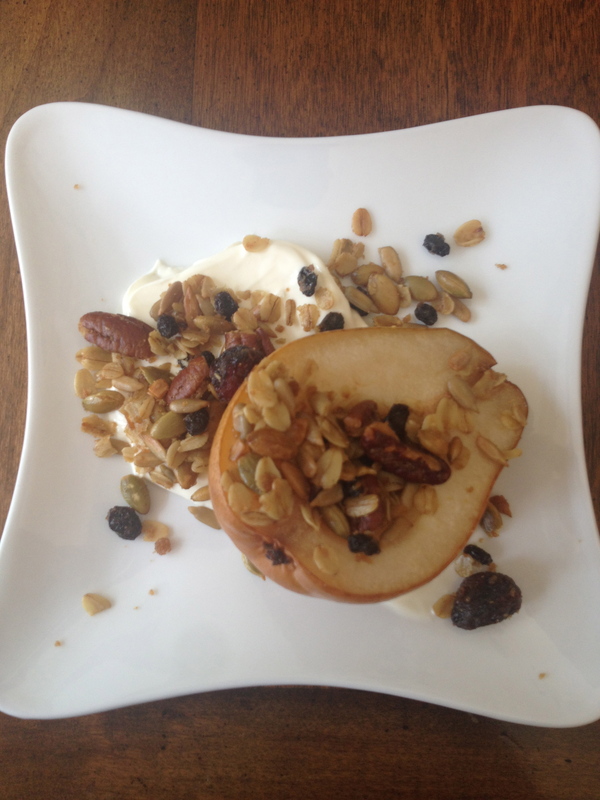 Spoon mascarpone onto plates and top with pears and nut-oat crumble.